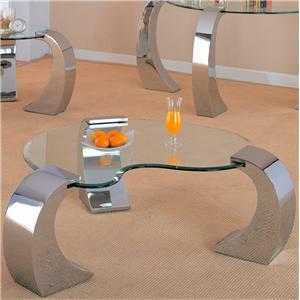 Create a contemporary edge to your living room's decor with this round coffee table. 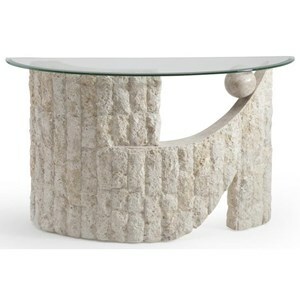 This cocktail table features a patterned beveled glass top and a rough-cut Mactan fossil base and effectively creates a classic atmosphere in your home. 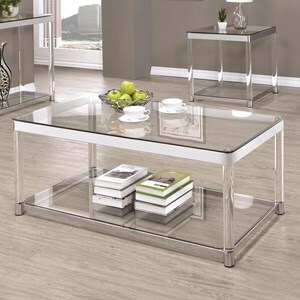 Use the glass surface to place decorative accent accessories and impress family and friends with a stylish decor. 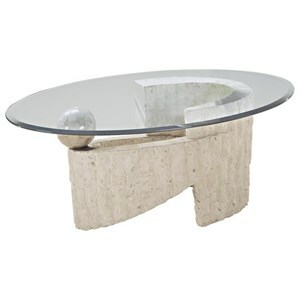 The Ponte Vedra Contemporary Round Glass Coffee Table by Magnussen Home at Value City Furniture in the New Jersey, NJ, Staten Island, Hoboken area. Product availability may vary. Contact us for the most current availability on this product. 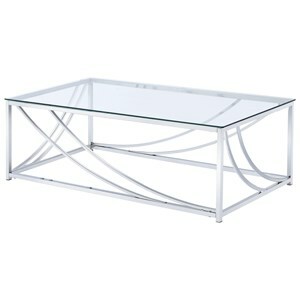 MAGN-58506T Round Cocktail Table Glass Top 1 38" 38" 0.39"
58506B Round Cocktail Table Base 1 29" 29" 16.5"
Description: Top 10mm tempered Glass Tops with 1” bevel. Ponte Vedra is perfect for many of today's interior neutral color palettes. 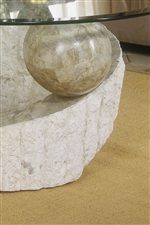 The unique use of rough-cut Mactan fossil and polished Pastor fossil stone in the bases create a delightful visual contrast. 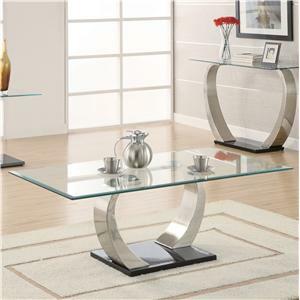 This intriguing contemporary design supports 3/8 inch patterned beveled glass tops creating an airy lightness in contrast to the solid bases. 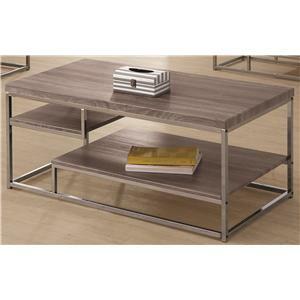 Furnish your home with Ponte Vedra for a contemporary and stylish atmosphere. 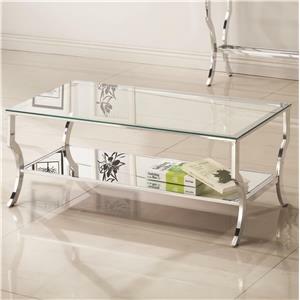 Use the spacious glass top surfaces to display your decorative accent accessories. 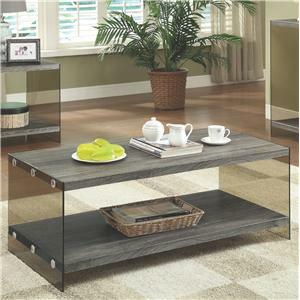 Bring the occasional tables of Ponte Vedra home today and enjoy its stylish and functional uses! 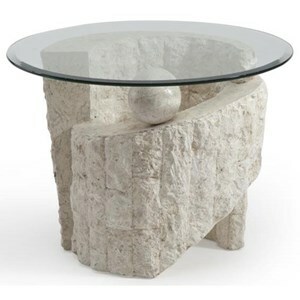 The Ponte Vedra collection is a great option if you are looking for Contemporary Tropical Coastal furniture in the New Jersey, NJ, Staten Island, Hoboken area. 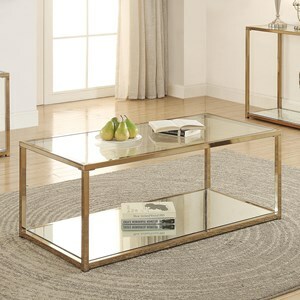 Browse other items in the Ponte Vedra collection from Value City Furniture in the New Jersey, NJ, Staten Island, Hoboken area.